What a difference eighteen months can make in the career of a young fighter. On one hand, the heralded prospect can face setbacks that knock him off his projected career path, leaving him with an uncertain future. But it can go both ways. The youngster who looks as though he may not be destined for the top is only a couple of performances away from maybe projecting themselves on to a national scene. This is certainly the case for light-welter Paul Davies (5-1) Paul will be fighting unbeaten Liverpool prospect Nathan Brough at the Liverpool Olympia on December 8th in a match that could propel him to ‘top prospect’ level. It doesn’t seem that long ago that I was sitting in a cold Liverpool Olympia watching Paul (then 3-0) get destroyed by Scott Moises in the first round. The fight was in April 2011 and was on the undercard of Mathews-Unsworth, and to many, that was the day that ‘Discoball’ Paul went from prospect to fringe level fighter. I was gutted for Davies, who had always come across as a nice fella, but I would readily admit to not being too surprised. 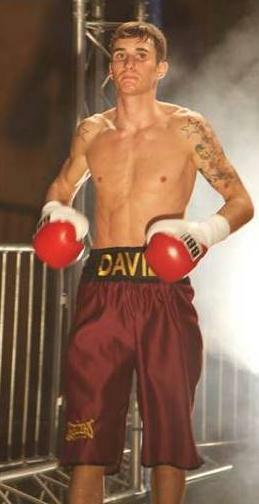 Davies had always looked skilful, but was the skinniest fighter I had ever seen. Couple that with his incredible height for a super-feather, Paul looked like a knockout waiting to happen. This was the night that doom merchants, including myself were proven right. I never thought too much more about it. The big story from the Shotton gym (where he trained under Shane Thomas) was Tom Doran. A month after Paul’s defeat, Tom Doran scored his controversial stoppage over Max Maxwell, and that took up the interest of local fight fans, and reporters. Six months later I sat in the Northgate Arena in Chester preparing to watch the Goodwin v Munika and Economides v Doherty title fights, when Davies made his comeback from the defeat with a fight against Kristian Laight. I don’t know what I expected, but from the word go I noticed that Davies seemed noticeably bigger. He put in an impressive four rounds, and didn’t look as fragile as before. I wouldn’t say that I was sold, but I knew this was better. Now before I get accused of going over the top, I do understand that beating Laight and Ellis doesn’t make you the second coming of Floyd Mayweather. But those who have witnessed the progression of Davies will know what I mean. Gone is the young lad who looked as though he could end up on the receiving end of a fair few hidings. He has been replaced by a grown man who now looks all set to push on. This has been down to a one major issue. That is an increase in weight. He has moved up from super-feather, through lightweight to light-welter. And boy, does he look healthier for it. 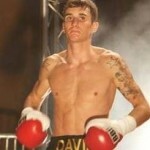 The improved performances led to Davies getting the call to become one of Ricky Hatton’s main sparring partners for his comeback, something unthinkable last year. According to reports, Davies did a sterling job, and at no point allowed himself to be bullied by the still strong ‘Hitman’. I was able to catch up with Paul, who was friendly as ever. Davies was quick to comment that the increase in weight has helped him out no end. For Davies, the work with Hatton seems to have been a godsend. As anyone knows with sparring, the work has to benefit both parties. There is no point in one dominating, whilst the other just looks to survive. Davies has definitely seen his work improve over the course of the camp. The Shotton gym where Paul trains is developing into one of the finest gym’s in the north-west. An area not famed for its boxing, now has four pro fighters, with a fifth preparing to come on board. Davies is convinced this is helping his development. Now it is time for Nathan Brough (8-0 2KO). The unbeaten prospect will be fighting in his home town. However, trainer Shane Thomas is more than confident that Davies can pull of the upset. So here is Paul Davies’ opportunity. It is up to him to grab it with both hands. A win here will take him on to a totally new level with his career. December 8th could really prove to be ‘Discoball’ Paul Davies’ coming out party.